I am in Capetown, South Africa at the moment sitting in a café in Long Street, a hip artsy street in this beautiful city. If any of you (or your parents) are thinking of retiring, you should forget Florida and move here. The dollar is strong here and the oceanfront views are stunning. The Western Cape gets more rain than most of South Africa and there are lush landscapes and mountains that sit right against the beach. It is the first city I have visited where I might be able to settle down. Other cities make me want to return to the bush after a few days. On Tuesday we spent the morning shopping for Christmas presents and the afternoon at Camps Bay on a beach below Table Mountain. We had a picnic in the afternoon and I walked up and down the beach watching sufers swimmers. Wedensday I went to Kirstenbosch gardens. The botancial gardens are situated below Table Mountain and offer extensive displays of proteas, restios, and ericas, all plant groups that are highly diverse in the fynbos and succulent karoo regions of South Africa. I walked around for seven hours and returned to the city center at night for some jazz. Tomorrow we head off to Robben Island, where Nelson Mandela was imprisoned for over 25 years, and will spend the evening touring the District 6 museum. After than we head out to De Hoop nature reserve, which is in the fynbos, a floral region specific to South Africa. 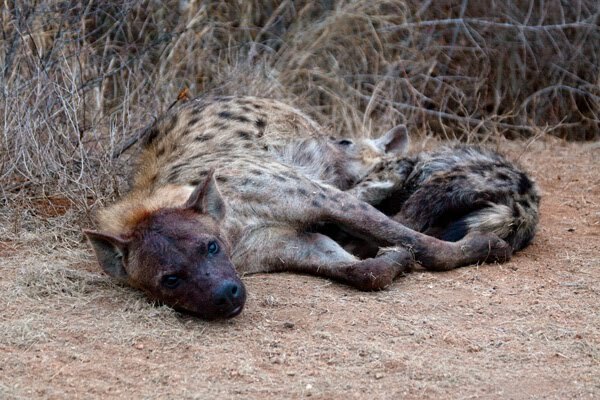 I’ll be in De Hoop for a week and then back to Kruger. Before arriving in Capetown, I spent two days in Pretoria and Johannesburg. We visited the Apartheid museum and the Hector Peiterson Museum. The Apartheid Museum was difficult to handle, but incredibly well done and effective. Each time I reflect on Apartheid I am amazed that it has been so short a time since it was broken apart in this country. The resilience of South Africa is incredible overall. To see multi-racial ads in every magazine and billboard and couples holding hands is a far cry from segregated bathrooms and buses 15 years ago. On Friday I attended a mass that was led by Desmond Tutu (Archbishop and former Nobel Peace Prize Winner). We heard about it from a man on the metro and showed up an hour early to make sure we had seats. The chapel was empty. Confused and discouraged we left, but asked a priest on the way out about the mass. He said to return at 7:15am. We came back and found a small congregation in a side chapel. Sure enough, Desmond Tutu was presiding (and gave a lovely mass), but it turns out that we crashed a christening of two babies. We were welcomed by the mothers, shook hands with Desmond Tutu, and overall had a wonderful morning. For any of you that are interested, I highly recommend the books “Cry the Beloved Country” by Alan Paton and “The Bang-Bang Club”by Greg Marinovich and Jao Silva. The first is a novel about Apartheid and the second is a book about the press photographers who shot violence during Apartheid. It is a must-read for every photographer. I am having some problems with Photoshop at the moment and am unable to edit my new pictures, so here is a shot from my time in Kruger right before I left for Capetown. Wasp spiders (Argiope bruennichi) were first recorded in Britain in the early 1920s. Today the spider’s range has expanded and they can now be found all along the South coast of England. They are rapidly moving inland, having already colonised London and are spreading further North. The spiders mature into adults in late Summer. At this time the females build their webs. 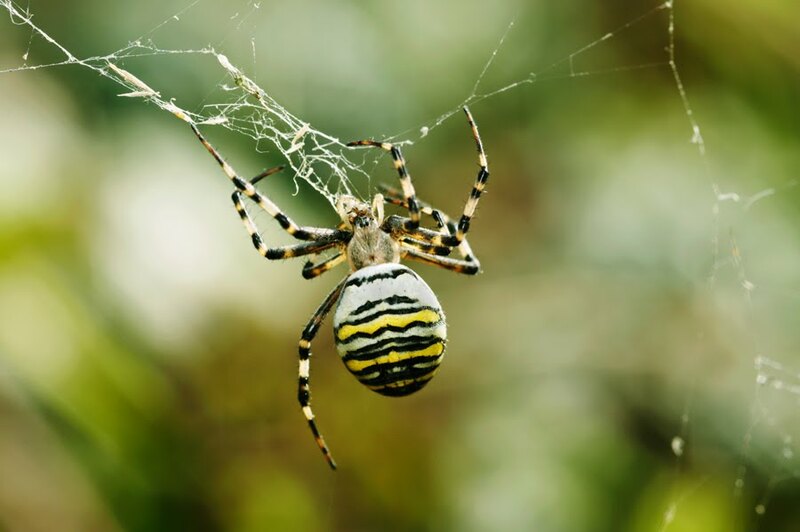 The female spiders exhibit bold black and yellow stripes, but despite their striking appearance the are not venemous to humans. 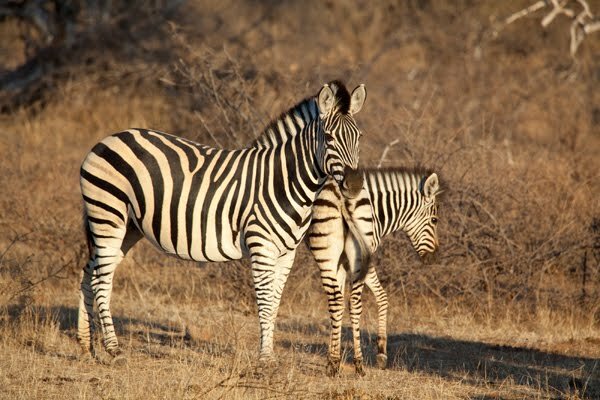 The body of the female can measure up to 2cm in length, while the male is much smaller at only 0.5cm. This year I was lucky enough to discover a terrific location teeming with wasp spiders. Searching the fields and banks at my riverside spot, the tall rippling grasses mimicked the river’s crashing waves in the fierce coastal wind. The black and gold bodies of the wasp spiders swayed violently backwards and forwards on their webs and I found myself wondering if they felt at all sea sick. One spider became a victim of the strong wind as her delicate web, built among the tendrils of a blackberry bush, broke. I watched in admiration as despite the conditions she began to rebuild her intricate web all over again. Here’s a funny little story (funny to me at least) that happened to me the other day. I was at Burnaby Lake, taking pictures of whatever birds I could find. 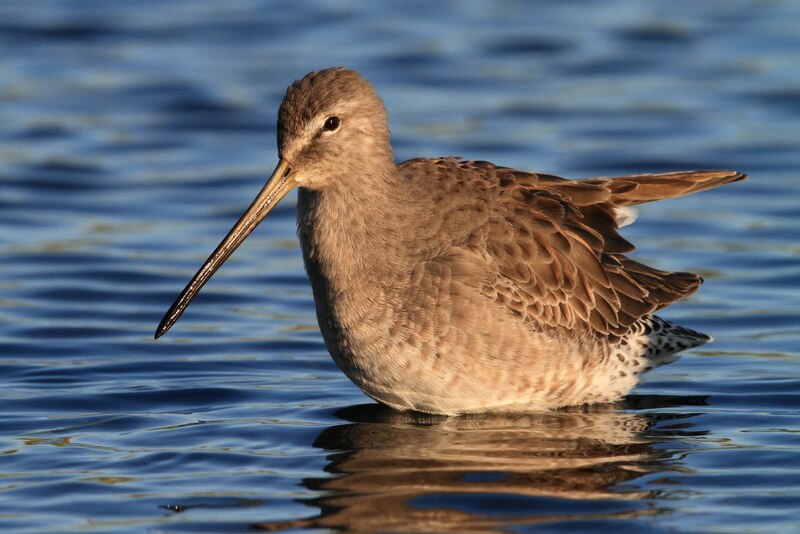 I noticed some Long-Billed Dowitchers out in the water, and couldnt get close enough to them by just being on the boardwalk. I decided to take it to the next level and walk into the water to get closer to the birds. So I walked into the lake, slowly approaching the Dowitchers. I got fairly close to them, and started shooting. A couple of moments into the shoot, my cell phone rang. The call was from a private number. I answered with a friendly “Hello”, and was replied to with fake fart noises. It was two girls from what I could hear by their laughter in the background. They continued to make fart noises, until i said “this is funny cause I’m in the middle of Burnaby Lake taking shots of birds”. The two girls started laughing very hard and hung up. Being very close to these birds, I tried not to spook them with my laughter, and only succeeded for a bit. Luckily I was able to come out with a few decent shots. I thought this was a pretty funny moment for the usual stealthy art of wildlife photography. There’s a first for everything I guess. The above shot was taken right after the phone call, before I spooked the birds. If you find that you are getting tired of the subjects in your yard, here is a great exercise to try: Find a subject. Any one will do. A flower, a leaf, anything that isn’t going to run away and has good light. Get a timer and set it for at least 10 minutes. Challenge yourself to shoot one shot every minute. Make each one totally different from the last, and make it the best you can. If you have trouble, set the timer for 20 or 30 minutes and try to take one shot every 2 or 3 minutes, respectively. If you are feeling really ambitious, try this for a whole hour, taking one shot every 5 minutes. There is always a shot, always. It’s just a matter of finding it. This morning I went out at dawn for a game drive and was upset that it was overcast and cloudy. We drove around for one hour and saw our first black rhino (they are quite rare in the park). Already a lucky morning, we relaxed as we were driving back to camp. Ahead in the distance we saw one little car pulled over and suddenly we saw a leopard stalk across the road. 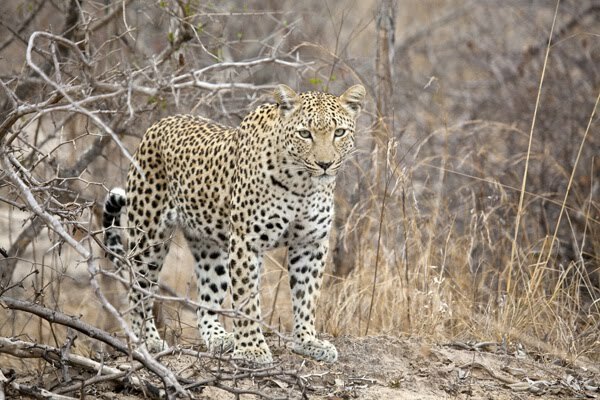 Leopards are common in this area of Kruger, but still very difficult to see. As we approached we saw that there were two leopards! As solitary creatures, most leopards travel alone, so I assume that these were younger leopards. We waited as they approached the road and I was able to make a few quick shots. Mostly I was just amazed by the sheer beauty and strength. Image stabilization came in handy! Last year when people bought the 50D, they complained about unsharp pictures. They soon found out they had to adjust the camera to their lenses. I found that with a 500mm F4 the camera took some time to adjust, and with smaller lenses (24-105, 70-200) the images were pretty sharp out of the box. I’ve only photographed a football game, and some ducks so far, and i’ve been very impressed with the 7D. 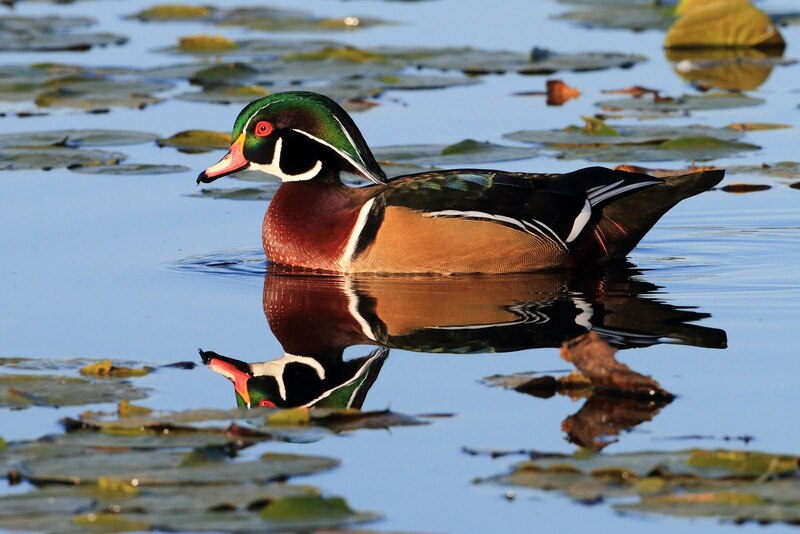 The image above was taken at Burnaby Lake, and the subject is a male wood duck.